IBM's quest to become the go-to medical analytics service has taken a step further after the $1 billion (around £650 million, or AU$1.36 billion) acquisition of Merge Healthcare. The company has been absorbed by IBM's Watson Health platform that uses immense supercomputing power to filter through huge amounts of research and medical data to give professionals the information they need within seconds. 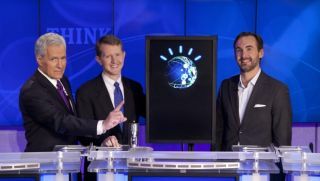 "The planned acquisition bolsters IBM's strategy to add rich image analytics with deep learning to the Watson Health platform -- in effect, advancing Watson beyond natural language and giving it the ability to 'see,'" said IBM, in a statement. Merge Healthcare specialises in medical imaging and IBM will analyze the vast range of images on offer against lab results, electronic health records, genomic tests, clinical studies and other health data. IBM estimates that this amounts to some 315 billion data points and 90 million unique records. In layman's terms, it means that Watson gets to view important medical images of a person at different times of their lives in order to detect any changes in their make-up, something that was limited before this purchase. This is just the latest development in Watson Health's journey after it recently announced an expansion to its partnership with Apple in the form of support for data collection using the Apple Watch in conjunction with Johnson & Johnson.